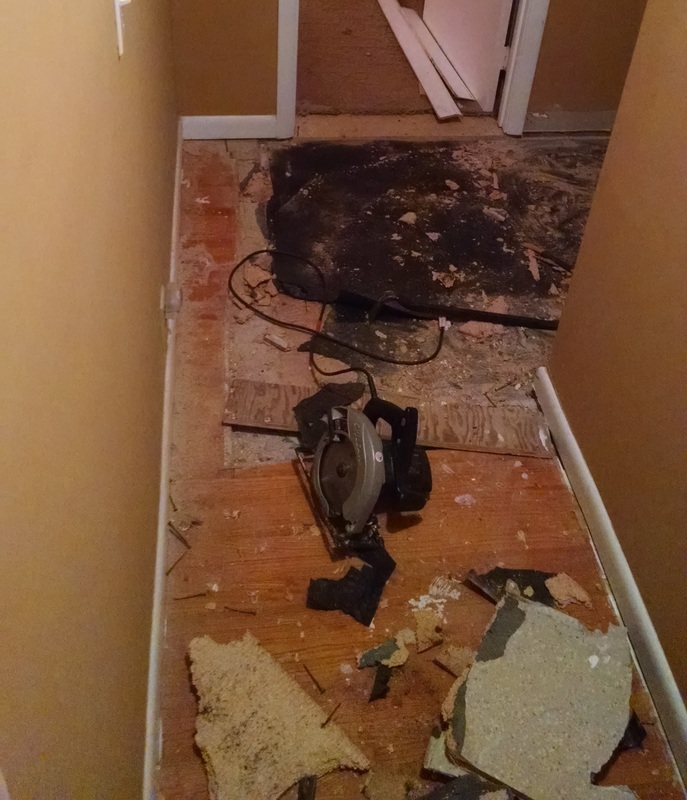 When the addition to the house was done, the hallway was part of a bedroom and closet. 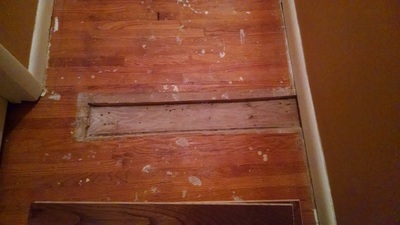 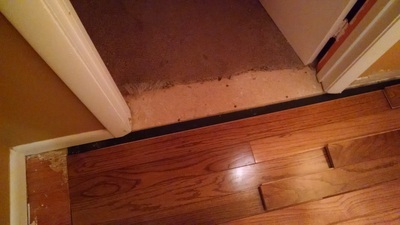 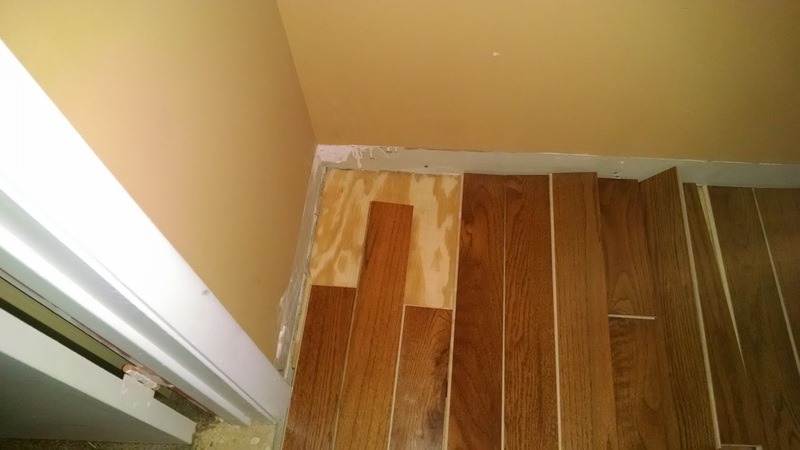 The original owner covered the hardwood with carpet and filled in the missing voids with scrap wood. Finally getting rid of the carpet means replacing the scrap-wood with hardwood (colors don't match, but for the moment, it's much better than the scraggly carpet. 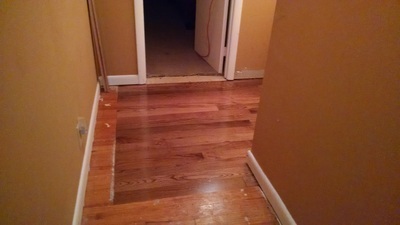 Here the hardwood is laid out for measuring. Turns out that one package of hardwood was about 1 inch shy of completing the project. Back to the store! 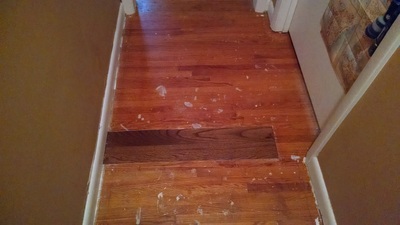 Hardwood is completed and paint splotches left by the previous owners is also cleaned up and the hall looks much better!